STRANGER THINGS Hay 36 productos. FIGURA McFARLANE STRANGER THINGS LUCAS 15cm. 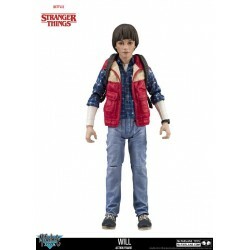 FIGURA McFARLANE STRANGER THINGS MIKE 15cm. FIGURA McFARLANE STRANGER THINGS WILL 15cm.